I am a firm believer in integrated pest management. The basic idea is not to eradicate pests, but rather to maintain and live with them within an acceptable level of control. One method to accomplish this end is to treat the farmed land as much as an ecological unit as possible and encourage the development of balanced natural biological interactions to manage pests. Thus, rather than keeping all the soil constantly tilled and barren, I let weeds grow in the vineyard aisles, and I leave existing trees standing on our properties to add additional ecological niches. This is all done to diversify available plant cover and habitats and increase biodiversity rather than simply turn every centimeter/inch into grape production. This then increases the habitat for vertebrate and invertebrate predators which, by their presence, help to keep in check those pests that may affect our vines and fruit trees. Aside from birds and lizards, here are some of the additional predators I have been seeing more and more on our properties due to our land management practices. The European praying mantis (Mantis religiosa) in its classic pose that provides its name. They will feed on anything small enough to capture. Smooth newt (Lissotriton vulgaris). 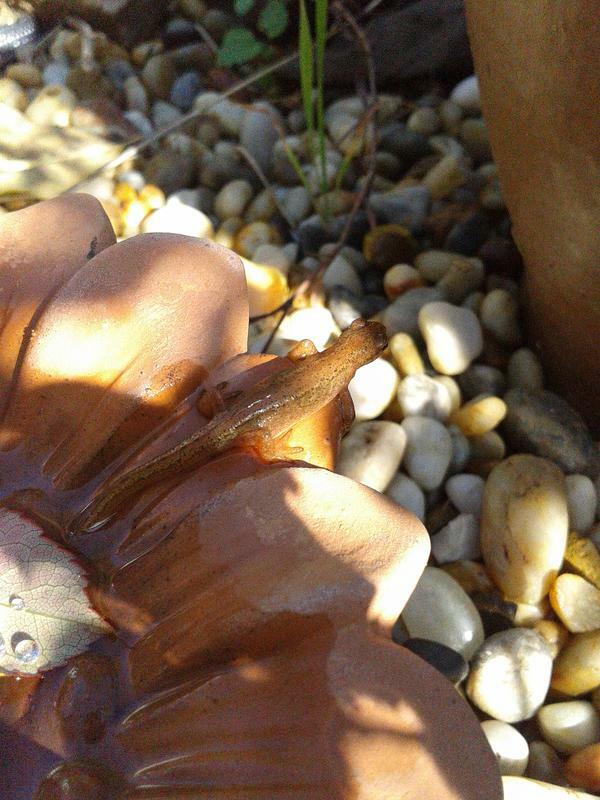 Also known as a common newt. Will prey on invertebrates. 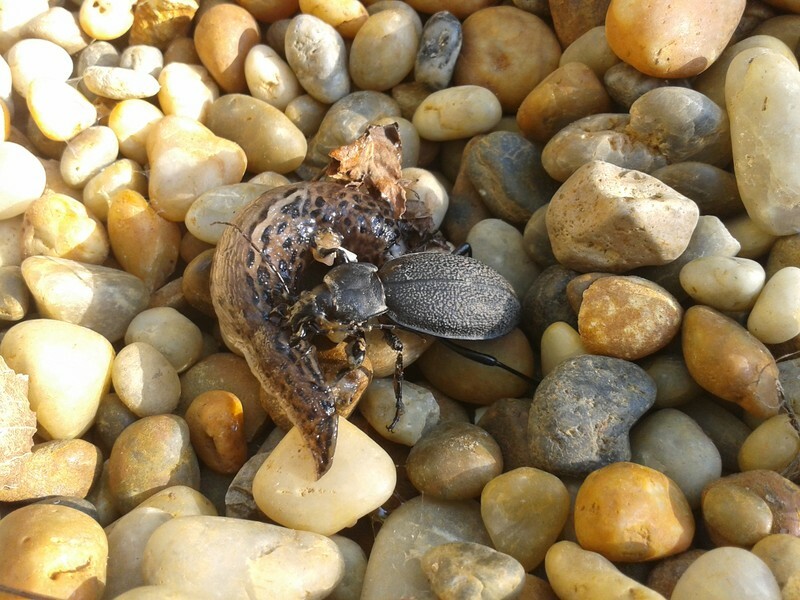 Probably a predatory tenebrionid beetle (species unknown) preying on a slug. 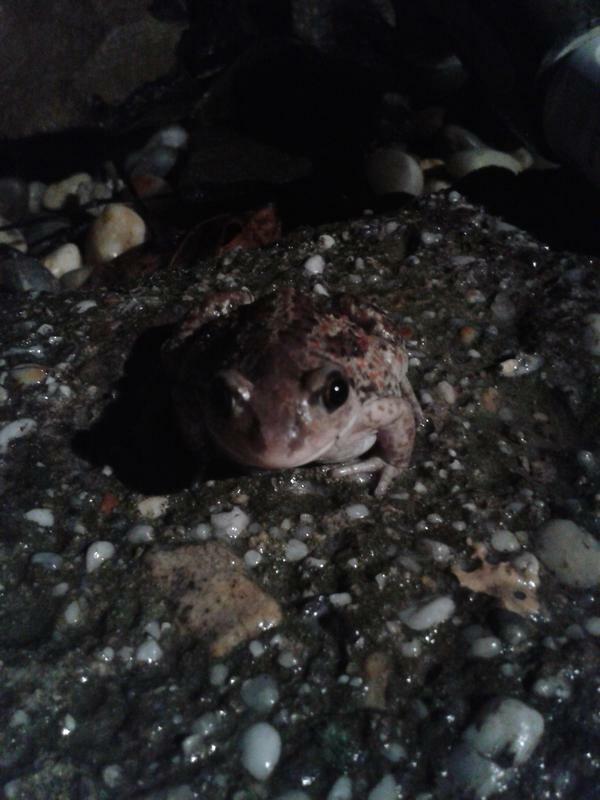 European green toad (Bufo viridis). Will eat a variety of insects and invertebrates, mainly crickets, worms, moths, beetles and caterpillars. 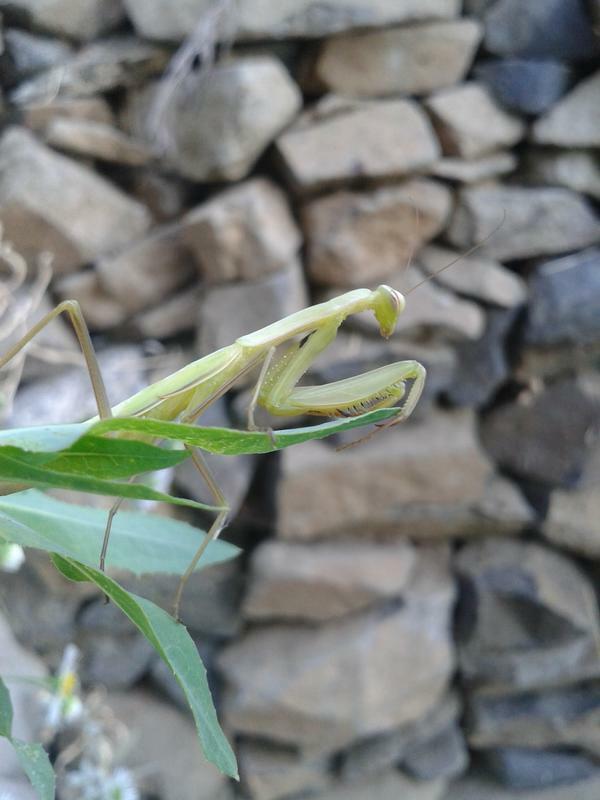 Like your pictures, especially the one of the praying mantis, great photo!